As you may or may not know, I spent the entire summer researching, writing, editing and re-writing my MA dissertation. Four months, 54 sources and nearly 16,000 words later, I’m finally finished. It’s been printed, bound and submitted! Although I feel a bit nervous as to my prospective mark, I’m actually really proud of the research and work I’ve done. My supervisor gave my confidence a little boost during the draft stage when she said that I was contributing something important to British cinema studies. 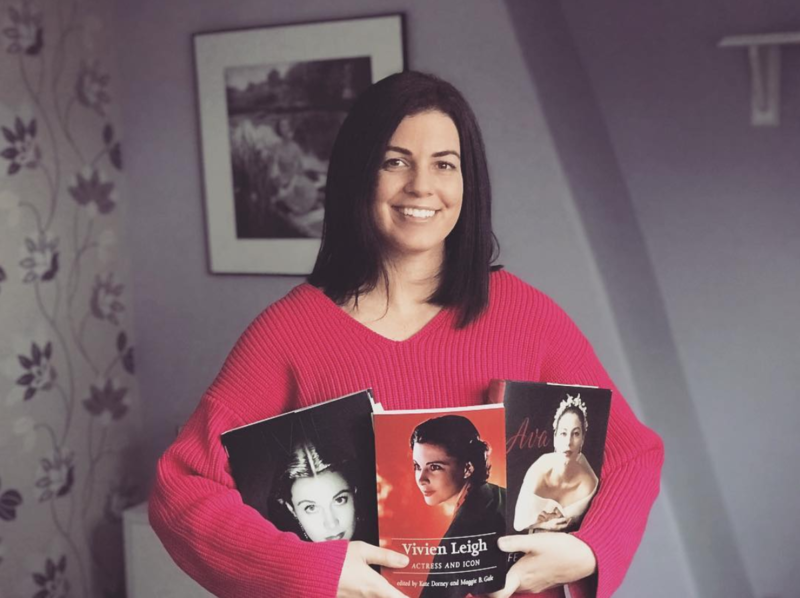 I decided to pair vintage archival material with current discourses on stardom, nation and aging women in Hollywood cinema in order to explore what Vivien’s career revealed about both the British and Hollywood film industries in which she operated. I also chose not to focus on Gone with the Wind because it’s been done to death, but it is a connecting thread throughout the chapters. Although it wasn’t written from the perspective of fandom, I hope my admiration for Vivien came through as I picked her career apart in order to reclaim her as a star and interpretive performer–as more than just Scarlett O’Hara. It’s quite exciting to feel like I’ve charted new territory! This is the second paper I did on a Laurence Olivier film last semester for my course. I was interested in looking at Larry and his important role in the British film industry during the 1940s. His Shakespeare films exemplified what critics back then termed “quality” cinema. 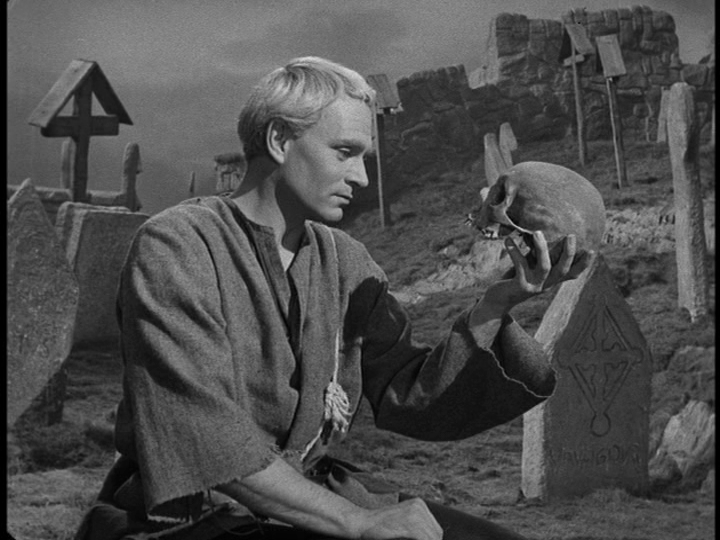 This paper is an exploration of the muddled definition of the term and how it applied to the 1948 version of Hamlet. One thing I love about grad school is that we can choose our own research topics for class papers. Last semester, I wrote about two Laurence Olivier films: That Hamilton Woman (for my Heritage Film class) and Hamlet (for my British Cinema class). I mentioned them a few times at the vivandlarry.com facebook page while I was holed up in my room after Christmas trying to get them done by the deadline, and a few people expressed interest in reading them after they were finished. I was only willing to share if I got good marks on them, and luckily they both received distinctions (phew). So, without further adieu, a discussion of propaganda, performance, and heritage in Alexander Korda’s wartime propaganda film That Hamilton Woman. Olivier may be the only actor who has fully recognized that Hamlet’s irresolution has its own fierce energy, and that his morbidity is, at heart, a kind of ardor. If Olivier were better “suited” to the daunting role, he might not have unearthed so many fresh truths in playing it. His Hamlet may actually be his greatest achievement as a filmmaker. In Olivier’s hands, Shakespeare’s elusive, haunted, infinitely suggestive tragedy becomes unusually vivid and compelling, and yet remains, as it must, wondrous strange. I had an epihpany today. 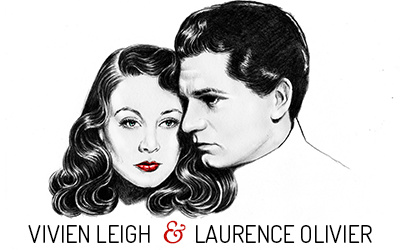 I came to London to study for my MA in film because I’m currently interested in British cinema of the 1940s, and of course I got into the whole subject area through my fascination of Vivien Leigh and Laurence Olivier: two of Britain’s most famous film stars. However, I’m always hesitant to incorporate my interest of these two into my written work at school because, well, I’m always afraid professors will take one look at my paper and say “What are you doing? This isn’t ‘academic’ enough. This isn’t what film studies is about. How did you get into this school?” Shouldn’t I be writing about the French New Wave or Italian Neo-Realism and the real “artsy” stuff? 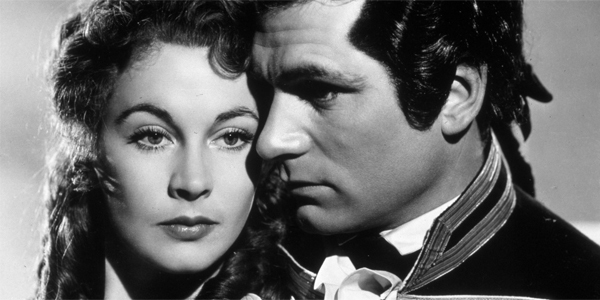 Is talking about Vivien Leigh the equivalent of talking about Lord of the Rings or Twilight? I’ve always been afraid that might be the case since film students and scholars seem to keep the notion of fandom on the hush. It’s like, let’s talk about Godard and not mention how much we love Star Wars. I had a meeting with my British film professor this afternoon to discuss my final paper for the class. I said I was interested in looking at some films (Olivier’s Hamlet and Michael Powell’s The Red Shoes) as related to concept of film as art and “quality” cinema in the 1940s. In talking it through, I realized that it might be a lot to handle for a 15 page paper. My tutor asked whether I was interested in textual analysis of certain films or more interested in a historical approach. I immediately said historical approach. What really fascinates me is the whole notion of how and why these films were made, the political and social constructs of the time, and how they were received. And stardom, let’s not forget stardom. When I talked to my personal tutor last week, and told her of my purpose for coming here and what I wanted to do with my degree and my life career-wise, she said I totally should incorporate my passion for certain films and stars into my work if I can (well, I was definitely planning to incorporate them into my dissertation, anyway). But I’ve always been a bit sketchy about it. I mean, it’s popular cinema. But when I was discussing my British Cinema paper today, I kept referring to my interest in certain films and the Oliviers in that context, and my course tutor said he didn’t understand why I was acting like my academic work and my obvious passion for the Oliviers had to be two different things. Because they don’t. 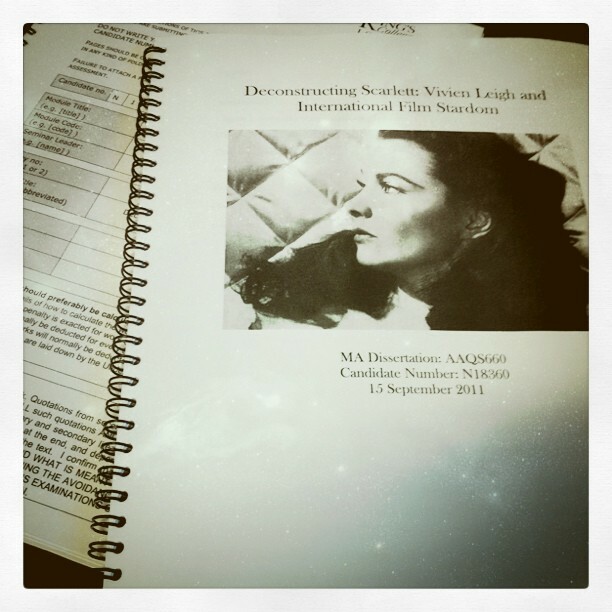 If I want to write a paper about Vivien Leigh, why shouldn’t I? I said “I don’t know, I always thought it wasn’t academic enough.” And he said it IS academic, and I know a lot about these things, so what I need to do is make sure I focus on specific questions that I can make arguments about in my writing so that it doesn’t end up being a biography, and if I want to use “Larry and Viv” as the means through which to answer these questions, that’s perfectly well and good. It was so nice to get confirmation about it being okay to write about the things I’m passionate about in an academic setting! HUZZAH! So instead of writing about Hamlet and The Red Shoes, I think I will write about Henry V, Hamlet, and Shakespeare in British film in the 1940s–how J. Arthur Rank marketed these two films, the differences in reception and how they were made. Or something. I’m hoping this Olivier colloquium on Saturday will give me some good ideas. I’m so glad it’s acceptible to be both totally nerdy and smart (har har) at the same time! I also got to borrow a neat little book called J. Arthur Rank and the British Film Industry! I’m off to go read!